Have you ever been to a BBQ that felt pretty bland and then had another that you were talking about for weeks after? It’s the small details which can make the difference to guest satisfaction, from the presentation of the food to how it tastes. Whether for a wedding, private party or corporate function, another way you can propel a BBQ or hog roast to the talk of the day is to ensure you have the best sides to complement your mains. Here are some inspirational ideas about what to consider when putting together your event menu. It wouldn’t be a BBQ without a tasty salad, but often people just bung a few leaves into a bowl and don’t really give it much thought. 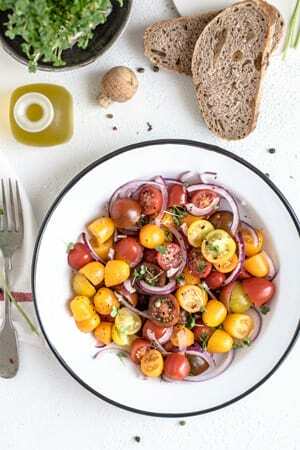 However, a good salad will be a fresh and mouth-watering side dish which everyone will have piled up on their plates, so think of some ways to spice them up. A great idea is to add some pine nuts which mix particularly well with rocket and parmesan, finished off with a balsamic glaze and fresh olive oil. Always think about how to bring out the flavours of the leaves and vegetables you’ve included, whether that’s adding some tangy feta cheese crumbled on top, cranberries, walnuts or chives. Strong flavours don’t have to be overpowering if you just use a little to enhance your sides. Everyone loves tastes from around the world, whether it’s Italian, South American or Asian food. You can incorporate this into your sides, especially if your event takes place in Spring and Summer where you can add a little more sunshine into your menu. Mediterranean salads are always a good choice, blending in-season ingredients such as red onion, olives and tomatoes mixed with feta cheese and green leaves. Or why not try a classic three bean salad full of colour and flavour for a truly delicious side dish. Home-made coleslaw is a sure-fire hit for a BBQ side dish, especially if you bring through the zesty notes with ingredients such as apples, mint and parsley, as well as adding gherkins and capers for that ‘pickled’ flavour which leaves us wanting more. If serving your meat in rolls or wraps, you can also think about the perfect dressings to include, considering the tone of the day. For a party vibe and fiery flavours, you may like to choose a Mexican theme and use chilli, salsa, guacamole and sour cream to create the right level of heat. Or if you’ve used spices to marinade the meat, you could choose a cool mint and yoghurt dressing. We all enjoy our potatoes roasted right? If you include them as a side at your barbeque, your guests are going to love it. For those going all out and slow cooking a whole lamb or hog, one of the best ideas is to use potatoes seasoned with garlic and rosemary which cook underneath the meat in all the juices. This creates an out of this world side dish that will create a buzz at your event. Get in touch with the Gourmet Hog Roast Company, who can provide hog roast and BBQ catering services across London and the South East. Categories: Event Catering and General.